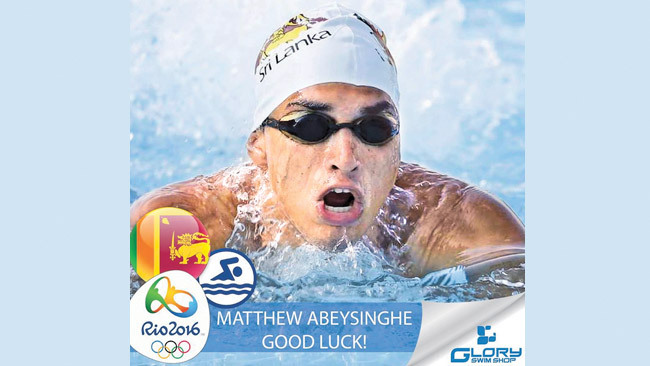 Flash: Sri Lanka’s Matthew Abeysinghe finished third in his men’s 100m freestyle qualification round at Rio Olympics on Tuesday. Competing in lane four of men’s 100m freestyle heat two, Abeysinghe clocked 50.96 seconds. “This is my debut in Olympics and I have a long way to go. I would have loved to clock a better timing but am not dejected at all. My ultimate target is 2020 Olympics in Tokyo” he said after the race. Lgor Mogne (MOZ) won the heat two in 50.66 seconds, ahead of Sean Michael Gunn (Zimbabwe - 50.87) and Abeysinghe. The Lankan lad clocked 24.40 for his first 50m to be placed fourth but advanced to the third place by the end of his second.